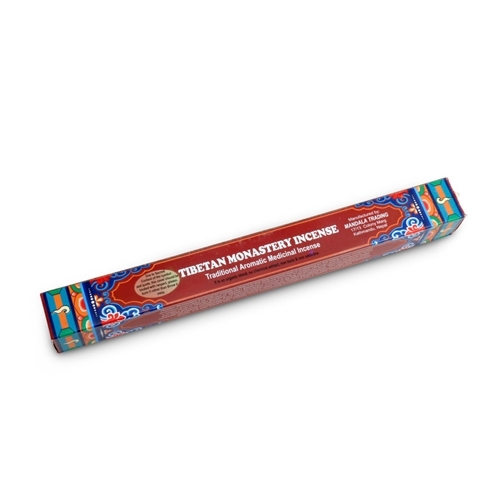 Tibetan Monastery Incense is handmade from scented medicinal herbs and precious substances. The combination of the centuries-old method of preparation and natural herbs makes Tibetan Monastery Incense richer and of superlative quality. It keeps one's surroundings permeated with a healthy natural scent. Box of 40 incense sticks (10.25").